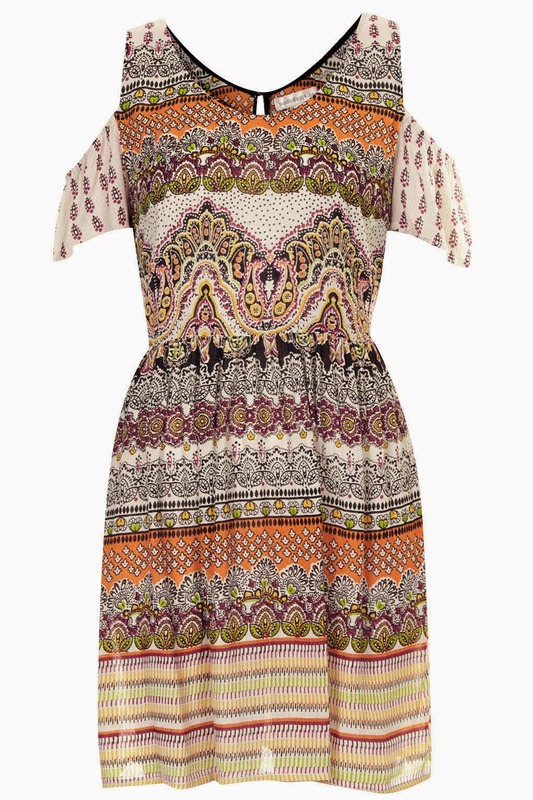 Style Theory: High streets stores are awash with fabulous prints this summer, it is all about the 60s and 70s boho look which will continue into AW14. 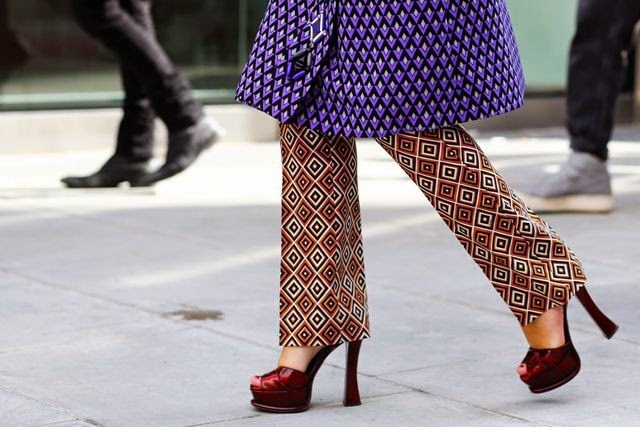 Contrasting prints are clashed against one another on garments, to create a bold, new look. 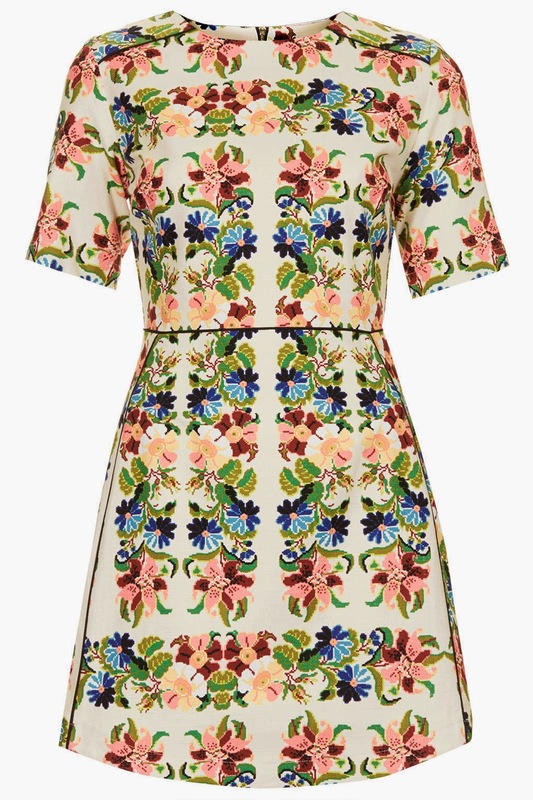 Small, repeat patterns are mixed with larger exaggerated whimsical prints. 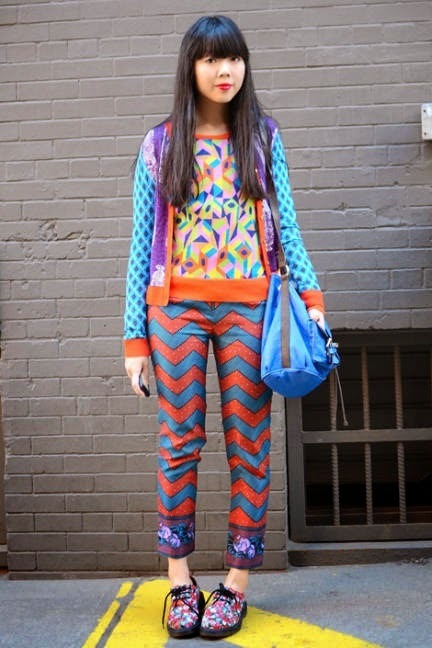 It is a move on from previous years stripes and florals combination..so it is time to be brave and start mixing it up! 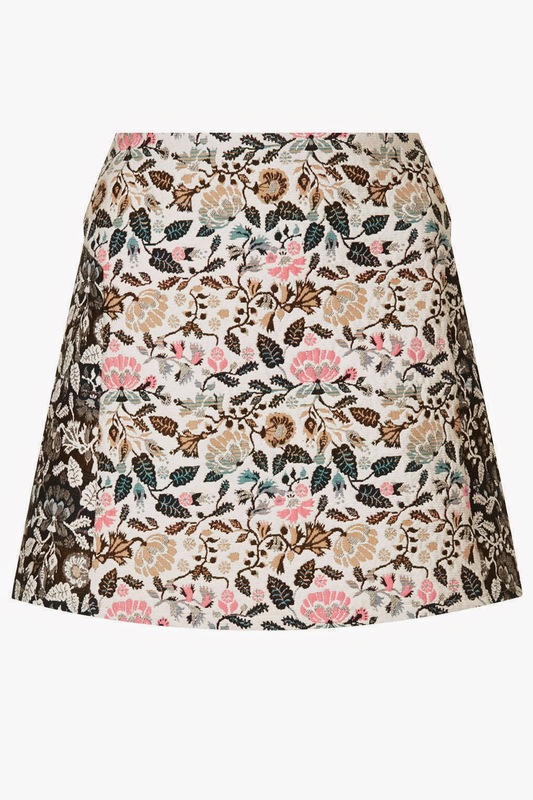 Wear this Asos skirt or the Topshop skirt below with the Zara top above. 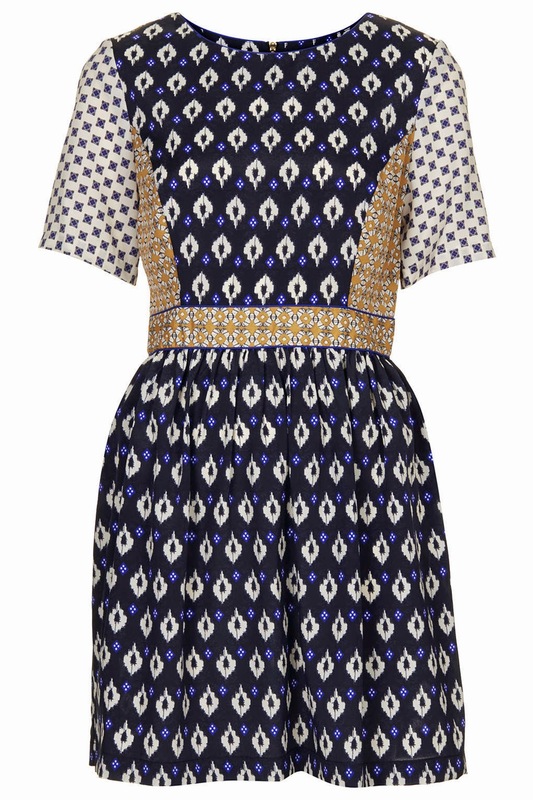 This dress looks fab on, I have bought it as one of my beach dresses and will be wearing it with gold gladiator sandals. 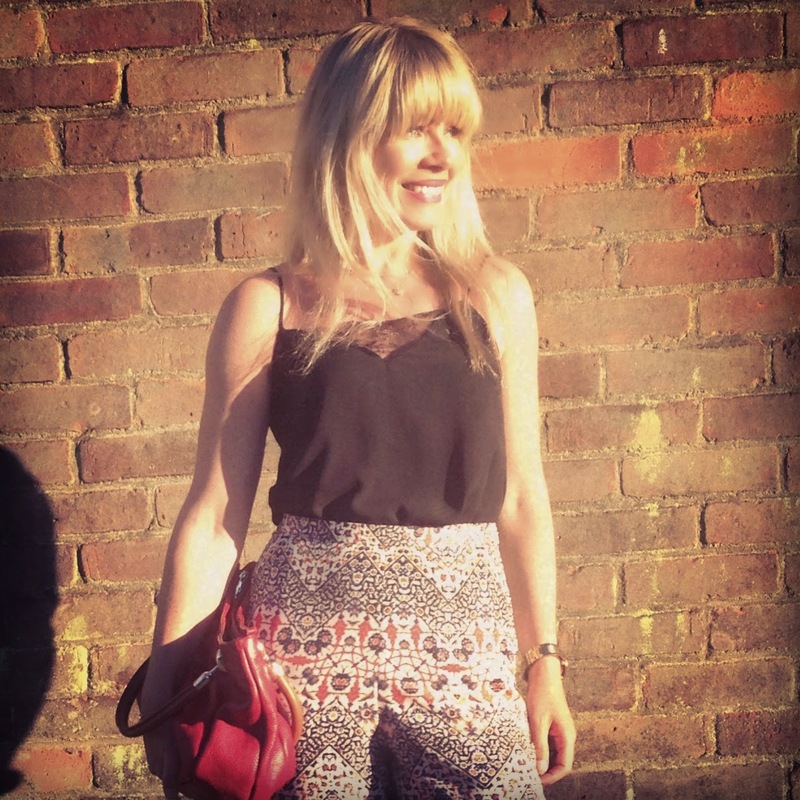 I have these trousers, they are really comfortable but do come up short (I am 5ft2ish) and they fit me lengthways perfectly so I would not recommend for ladies blesssed with height (see them in My Style below). 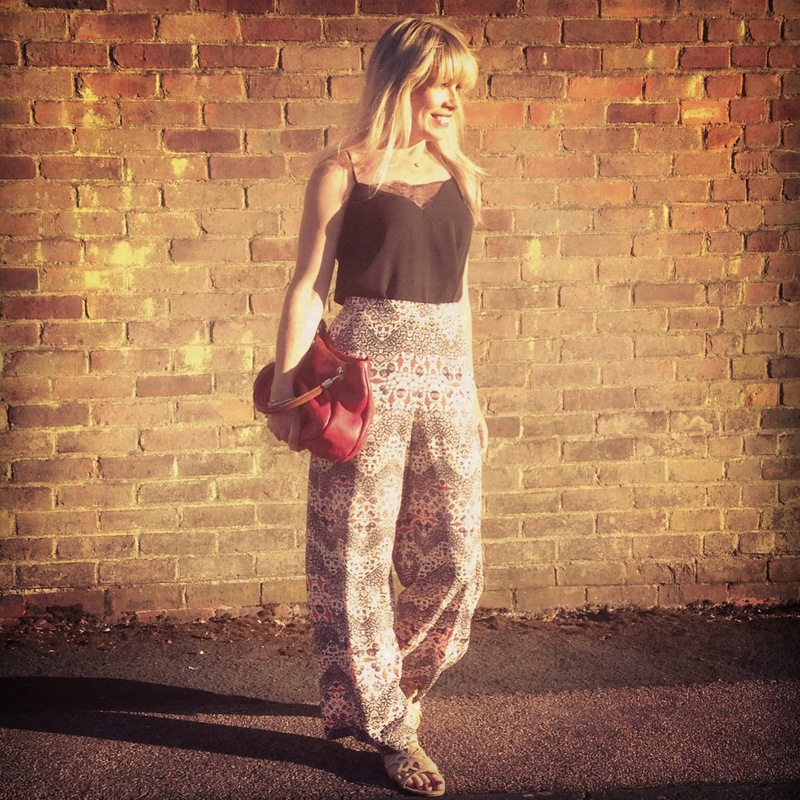 These Topshop trousers are great for daytime as they are cool and flattering. 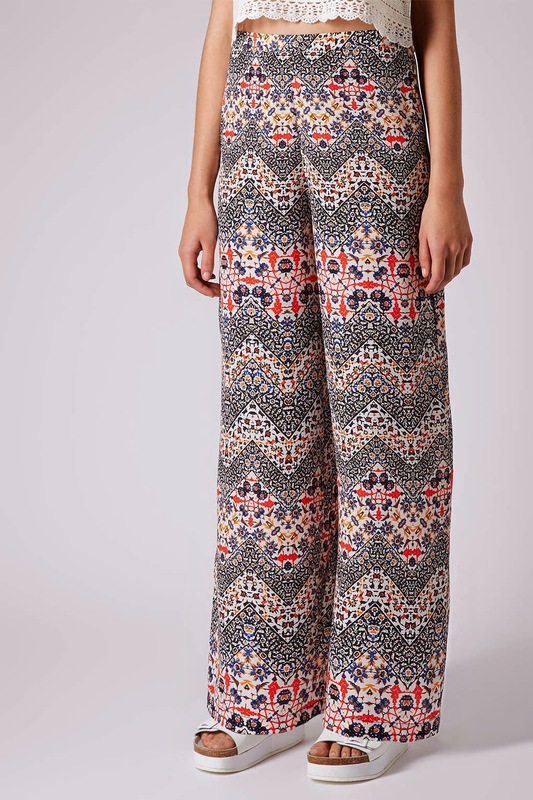 I wore mine with a camisole top tucked in but am looking for a tops with a small pattern on to clash it up a little and make it look slightly edgier. Love the pattern on pattern, haven't tried it yet, only just doing the stripes and florals together! I'm usually about a year behind! 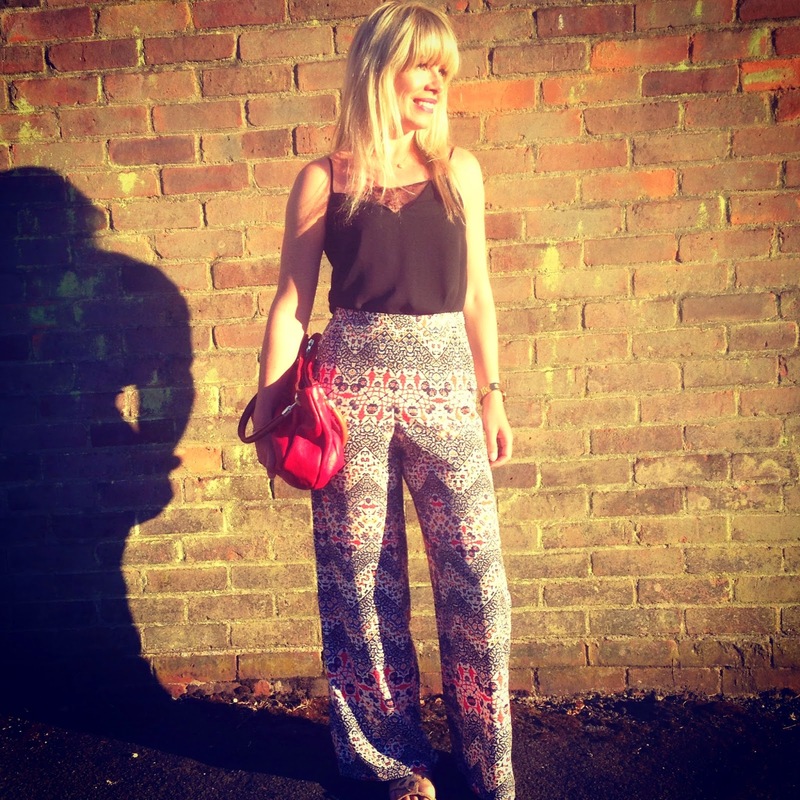 Particularly like your topshop trousers! someone I work with has them and the pattern is fab! LOVE the cos one you feature. How wonderful to see photos full of sun!